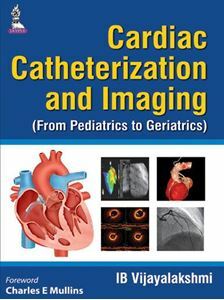 Cardiac Catheterization and Imaging (From Pediatrics to Geriatrics) is designed as an all inclusive book for Catheterization Laboratory Technicians, Cardiology Fellows, Postgraduates and Interventional Cardiologists, to be used as a reference for trans catheter interventions. The book offers the spectrum of cardiac catheterization and catheter-based interventions from pediatrics to geriatrics. It covers literally the scope of these procedures from “womb to tomb”. It is intended as a practical guide for the interventional treatment of congenital, structural heart diseases, coronary and peripheral vascular diseases to be used by the Invasive Pediatric and Adult Cardiologists. Some of the procedures discussed in the book are emerging techniques in the forefront of interventional cardiology, and may not be practiced in every cardiac catheterization laboratory. In all, this book represents an accumulation of knowledge, expertise, techniques and procedures that have been learned, utilized and/or developed by various experienced interventional cardiologists with rich experiences in teaching cardiac catheterization and interventions. Multiple authors from all over the world have made very fruitful contributions and “Foreword” is written by legendary Charles E Mullins (MD FACC MSCAI).